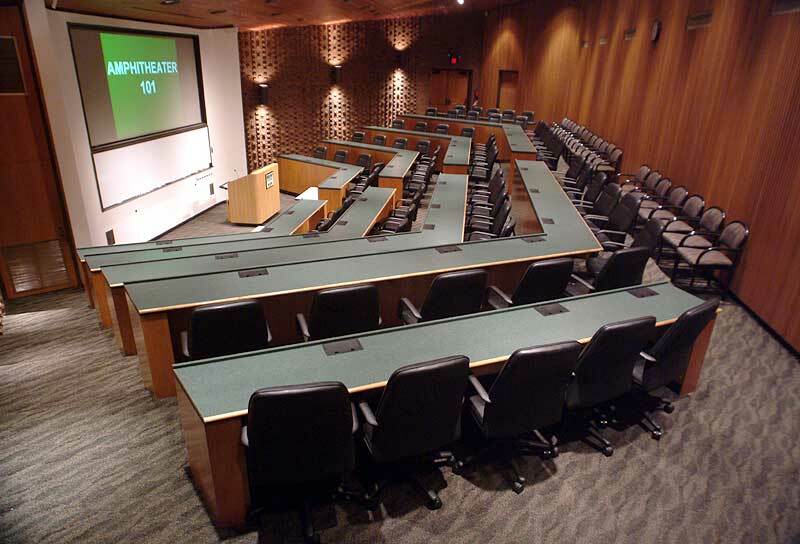 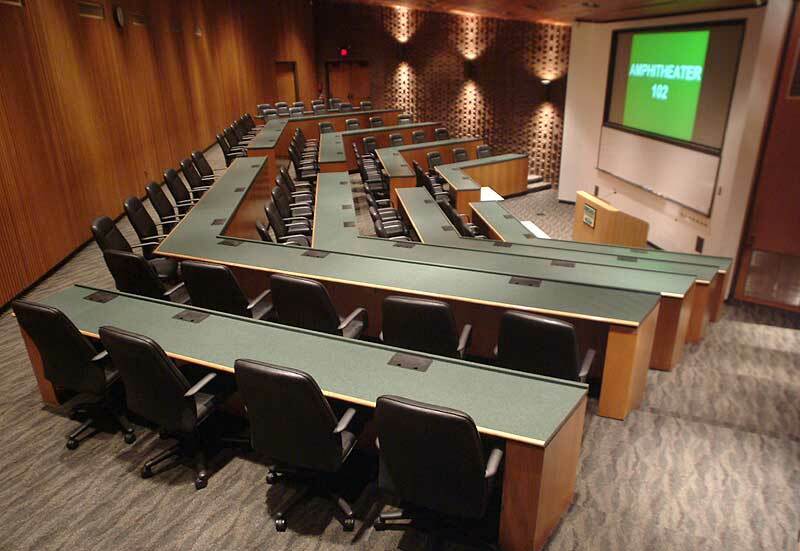 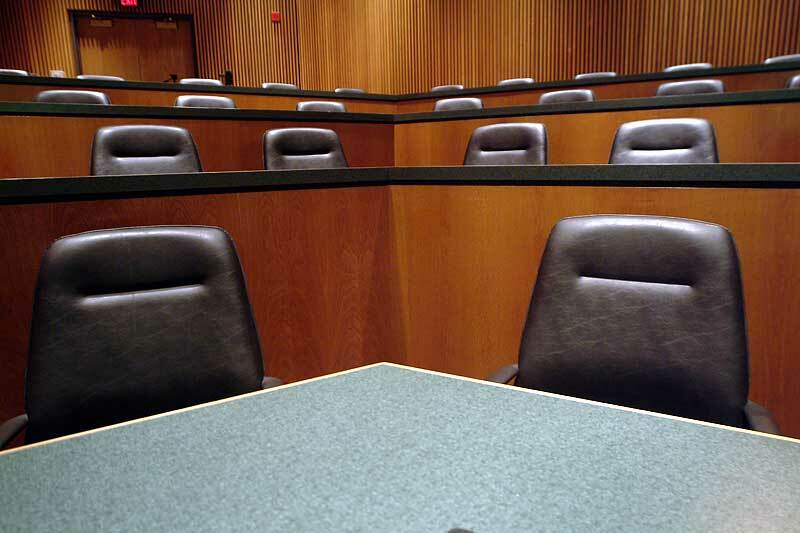 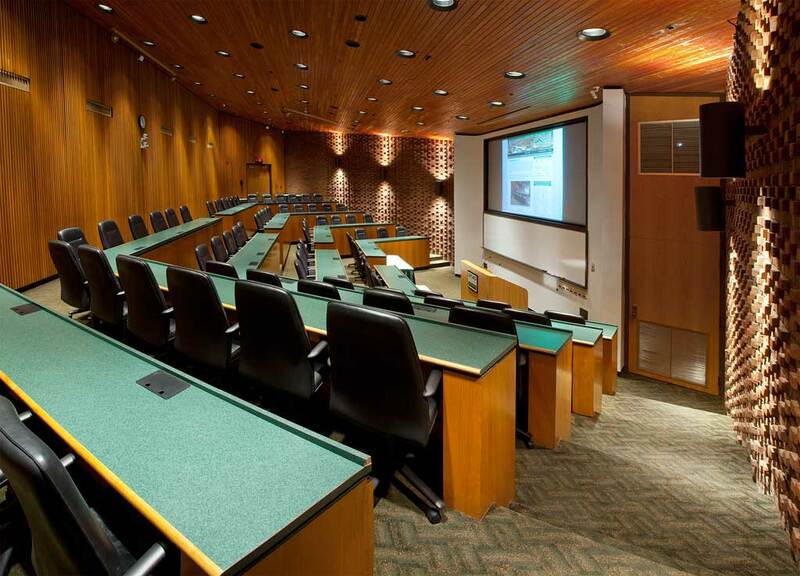 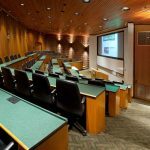 The amphitheaters offer the perfect setting for training workshops and corporate presentations. 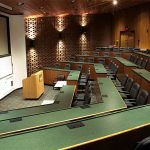 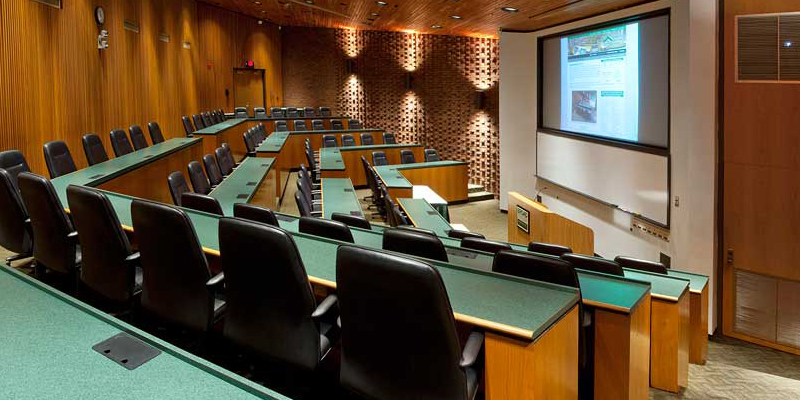 Each room is constructed of hardwood oak and brick and has a tiered, five level, fixed seating arrangement for easy viewing of the large rear screen projection surface. 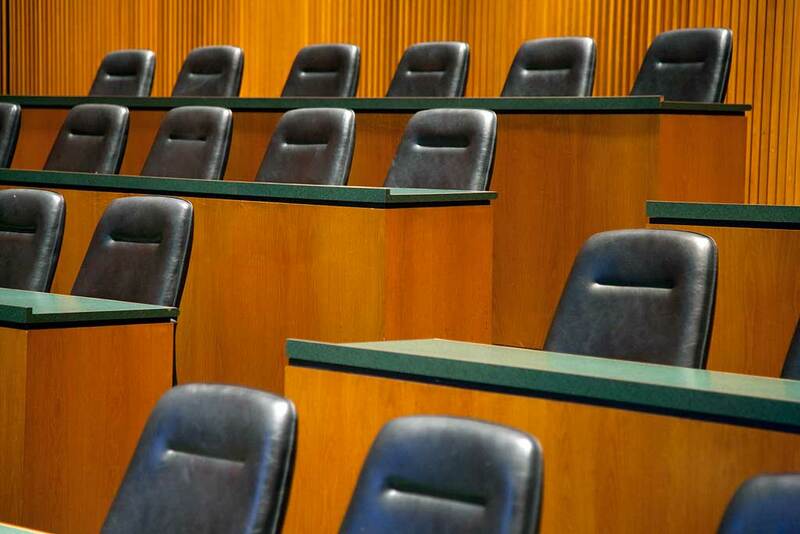 Easy internet access is available at every seat in the house. 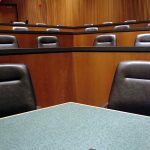 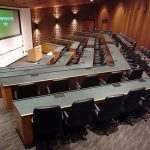 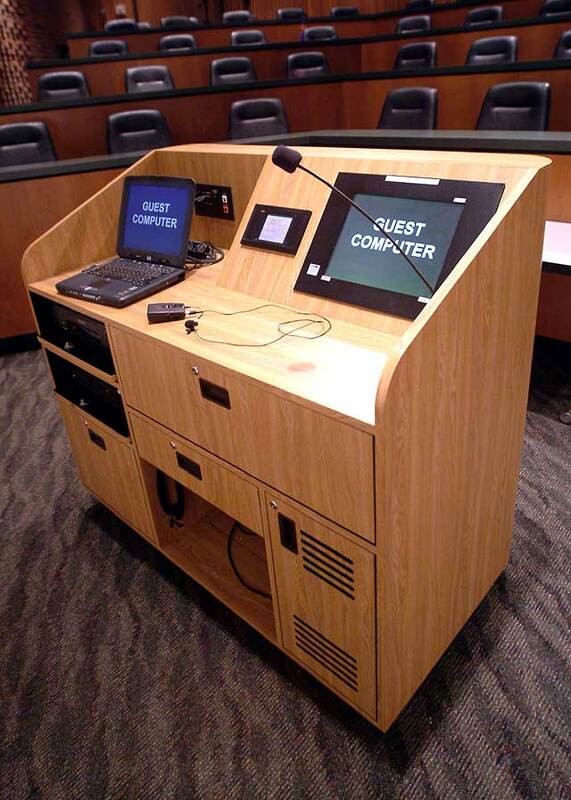 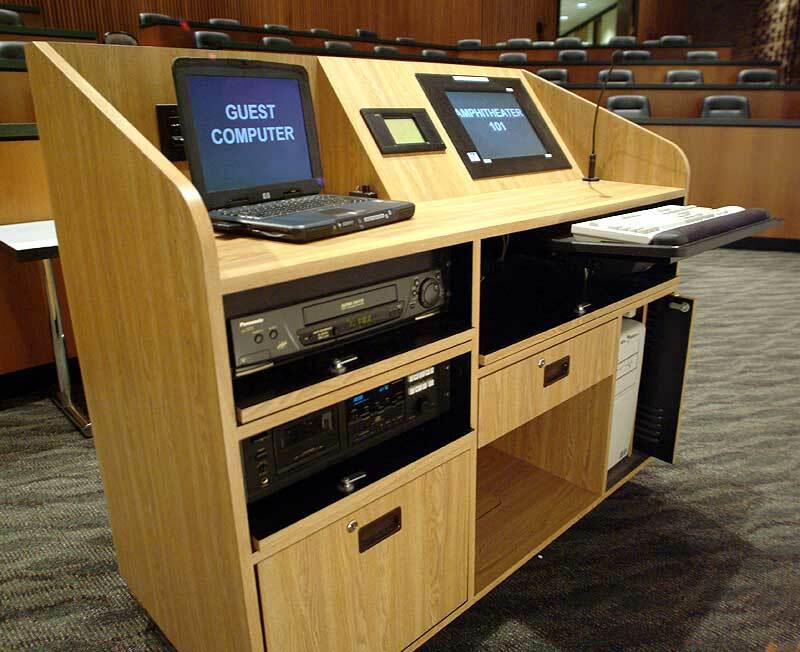 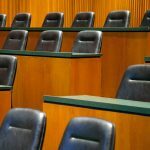 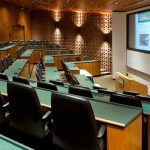 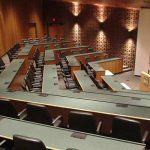 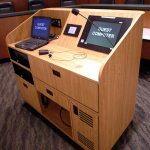 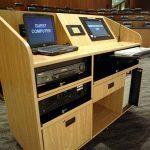 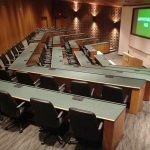 Integrated audio, video, internet access, satellite and computer projection systems will enhance the professionalism of your presentation. 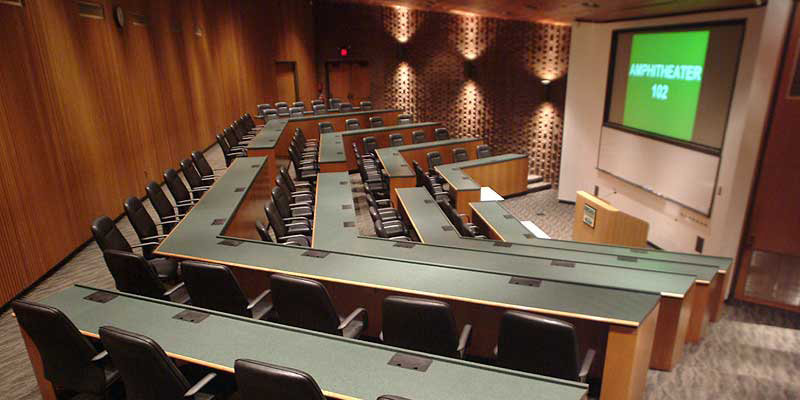 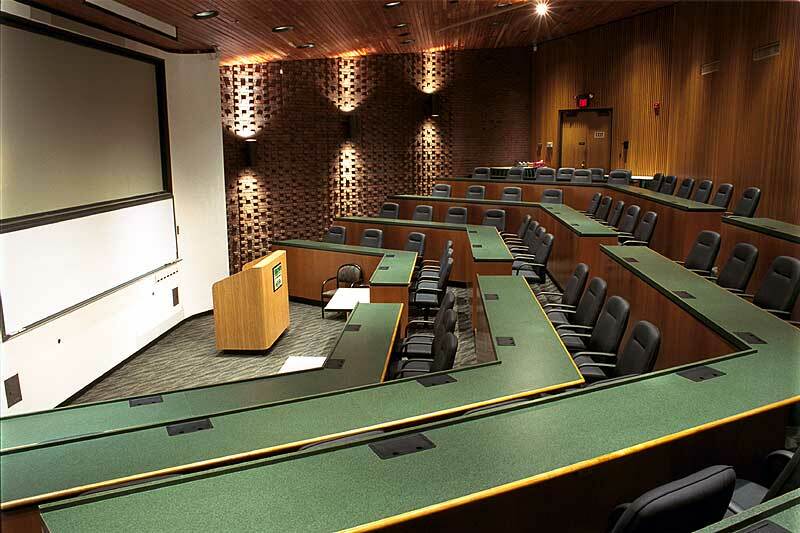 As shown to the right, each room has 78 leather executive style seats with built-in oak and formica writing surfaces. 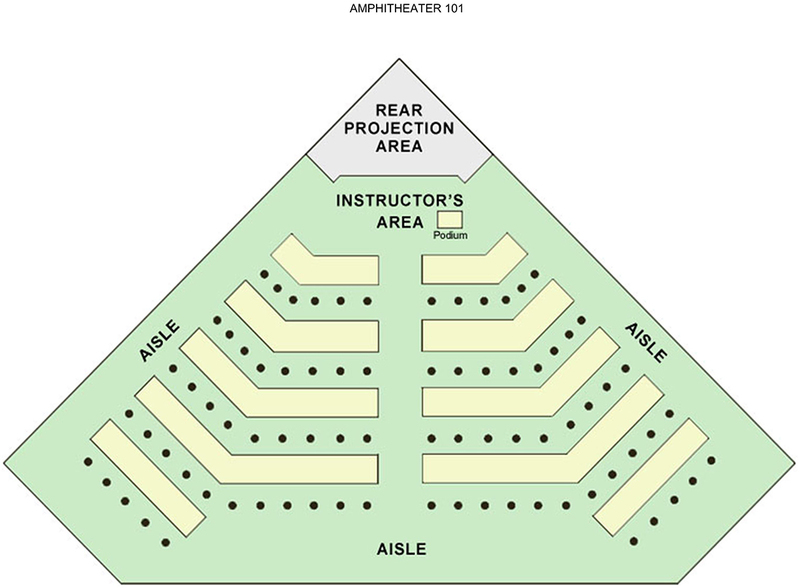 Total seating capacity is 110 when additional chairs are added to the back of the room.